Get that new year resolution started by eating healthier with Kenny Rogers ROASTERS today! Promo valid till 31 March 2017 only. 15% OFF on food only. Please present your Watsons VIP Card while ordering. Valid from 1 January 2017 till 31 March 2017. 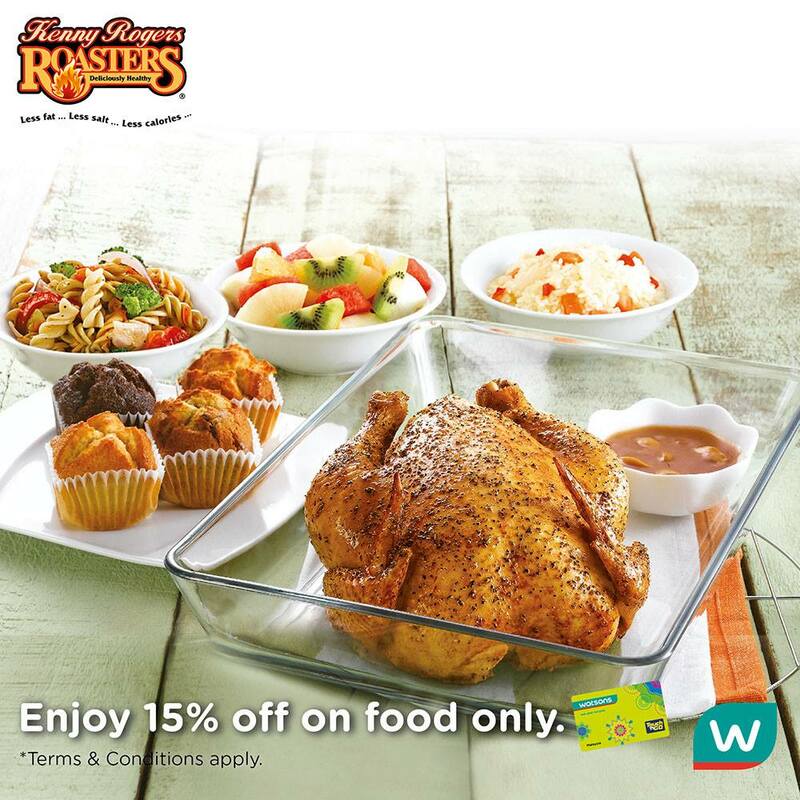 Valid for dine-in only at all Kenny Rogers ROASTERS restaurants in Malaysia. Offer is applicable for food only. Drinks is not applicable. Not applicable for ROASTERS Catering / Delivery. Kenny Rogers ROASTERS and Watsons Malaysia reserve the right to amend the terms & conditions without any prior notice.